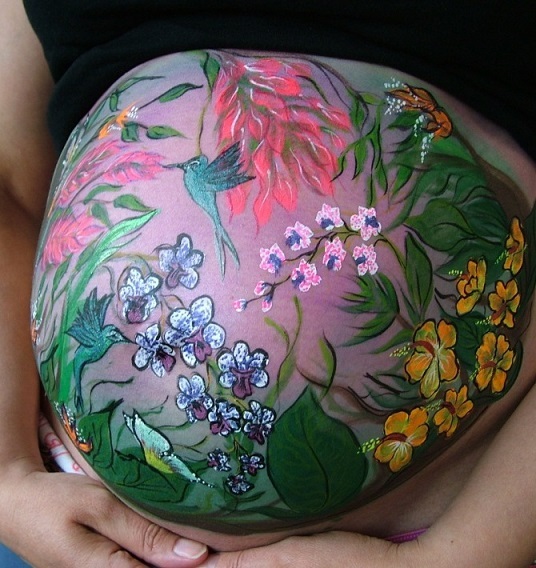 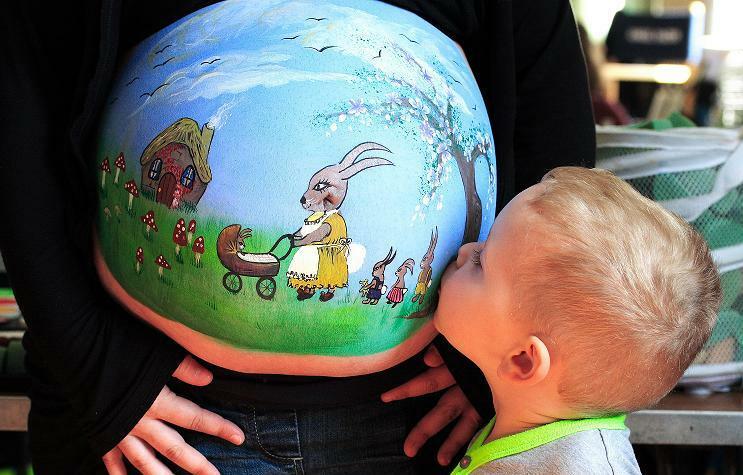 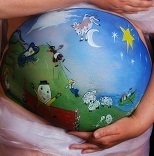 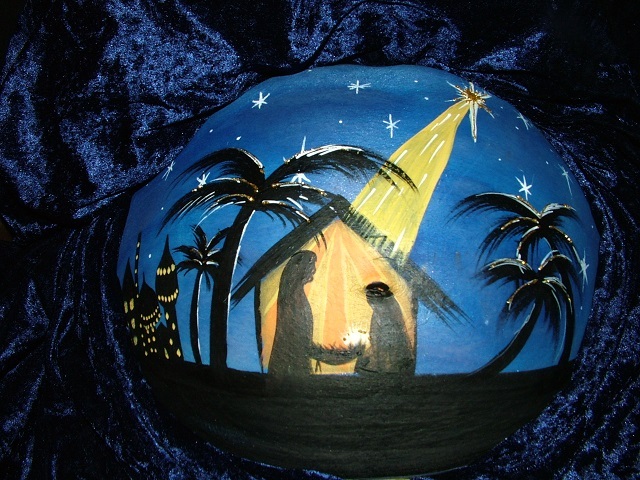 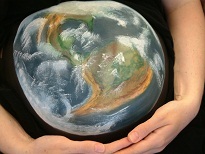 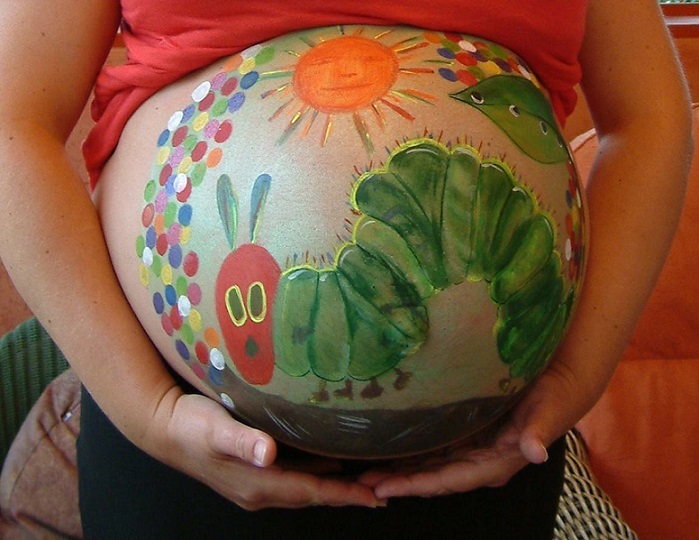 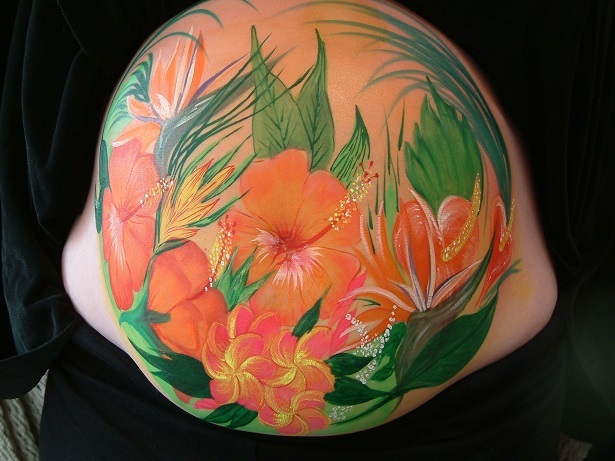 Gestational painting (or painting on a pregnant tummy) takes about 2 hours on average depending on the design. 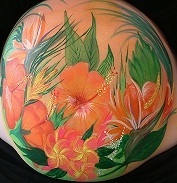 You may have an idea in mind, or I can offer design ideas if you wish, it’s up to you. 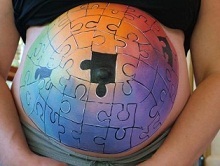 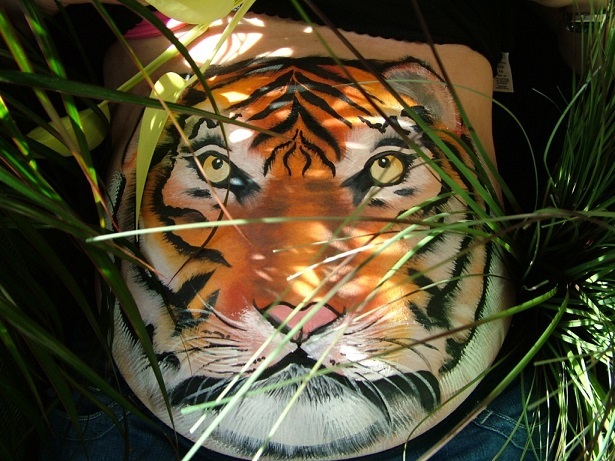 The ideal gestation for a tummy paint is between 6 months and full term so the ‘canvas’ is at an optimum size for a full design, and thus will make a better photograph too. 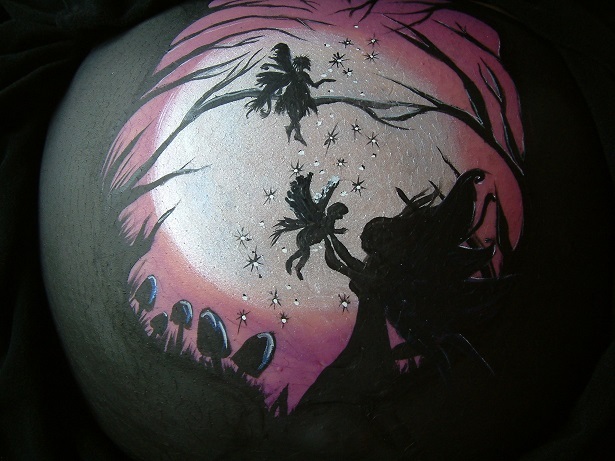 Only safe and fully tested products are used… (the same paints as used on the delicate skin of young children when they have a face paint). 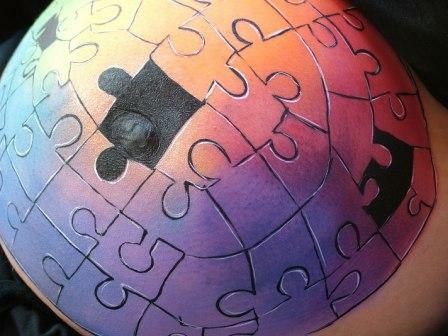 The paint is easily and simply removed in the bath or shower with water and your usual brand of soap or skin wash. 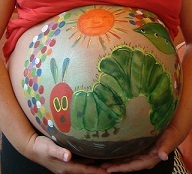 I can come to your home if you wish, or you can come to mine, wherever you feel more comfortable. All of the mums-to-be I have painted over the years have said what a thoroughly relaxing and fun time they have had. Please contact me HERE if you are interested in having a unique piece of art on your pregnant tummy… to have as a wonderful memento of a special time in your and your baby’s life. 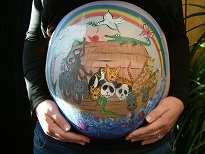 All photos are copyrighted and permission has only been granted by the models for use by FANTASTIC FACES. 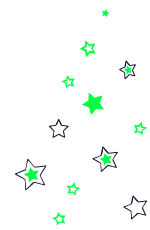 Please do not copy these images in any way, for whatever reason, without the express permission of Glyn. 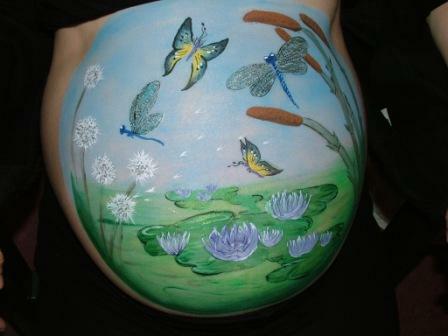 You are, however, welcome to use the designs for inspiration.